It's important to keep fit and get lots of exercise. 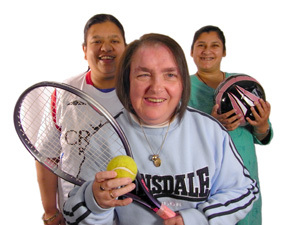 You can find out about sports and leisure activities in Blackburn with Darwen on the re:fresh website. Some activities are free if you have a Beez card. To get a Beez card you need to live or work in Blackburn with Darwen. To apply for one you can click this link or you can get an application form from your leisure centre, library, community centre or Blackburn or Darwen Town Hall. Motivate also runs children's holiday schemes over the school holidays for children with a learning disability. If you would like to take part in any of these activities please telephone Motivate on (01254) 587242. 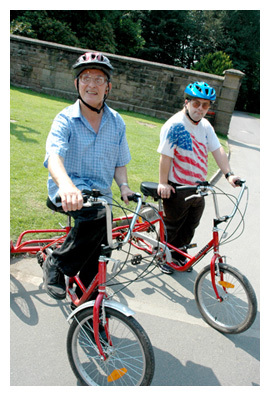 Please click here to see a list of activities for people with a learning disability in Blackburn with Darwen as well as details of transport to get to the activities. The list has been put together by the Community Wellbeing Team and the CONNECT team.